The QUE Touch Master Controller allows you to control your entire system, from individual zones through to the dashboard diagnosis, providing access to every feature that QUE comes with. And it looks great while doing it. The QUE Zone Controller provides you the ultimate in zone control, allowing you to control the temperature and turn the zone (or even the whole system) on or off from inside the zone itself. 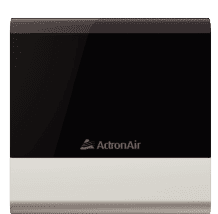 It also ensures the zone automatically provides the precise air required to meet your specific comfort needs, saving you energy while providing you the ultimate comfort. The QUE Sense Remote Sensor delivers the same precise comfort as the QUE Zone Controller, with the only different being that it has to be controlled from the QUE Touch Master Controller or QUE Connect Mobile App. The QUE Sense is ideal for kids’ bedrooms and playrooms, where you’d rather not let the little fingers do the controlling. Air conditioning controllers are very visible products, usually installed in full view of the household. We believe that a control should be something you are proud to display, not something you would prefer to hide. That’s why QUE features a beautiful, timeless design that has been specifically developed to match well with a variety of wall colors and textures. Using noble materials like anodized aluminum and brushed stainless steel, it also feels as good as it looks. And with your choice of black or white, you can mix and match to suit every décor. Who says a smart device can only be a phone or tablet? QUE has brought the high standards around in today’s smart mobile devices to the world of air conditioning. With a beautifully designed Graphical User Interface that is intuitive to use and easy to navigate, the QUE Touch Master Controller comes with the highest resolution display available in any home air conditioning control system in Australia. In fact, its 5.7”. 1080x720 pixel, full color touch screen is comparable to the latest in smart phone technology delivering crisp and clear visuals. And thanks to its powerful dual core processor with 1GB RAM, QUE also delivers lightning fast performance, with its smart logic allowing it to automatically adjust to deliver the best comfort with the minimum of energy. In fact, QUE is so smart that it varies the brightness of the QUE Touch Master Controller’s screen depending on its environment – For example, if bright sunlight is coming through the window it will adjust to ensure you can always see it with ease. And to stay current, QUE allows you to receive updates over the air to ensure you it is always up to date with the latest software. When it comes to zoning, it’s your choice. Zoning is a commonly used term in air conditioning, but it rarely means the same thing. The reality is that different brands deliver zoning in different ways, with varying degrees of comfort and efficiency. And usually with those other brands, once your’ve made your choice, that’s it. If you have different zoning needs in different rooms, or if your individual zone requirements evolve over time, it is very hard to update. Well, with QUE we believe that zoning should be flexible enough to suit how you use your house – now, and into the future. So we designed it to ensure that you could pick and choose what type of zoning works for you in each zone of your house. For example, to ensure your zones come with precise temperature control you can simply use the QUE Sense Remote Sensors. These ensure that the desired temperature is accurately maintained within the zone, and are easily controlled from the QUE Touch Master Controller or QUE Connect App. However, if your house has a spare room that isn’t often used, it may not require precise temperature control. QUE allows you to simply match the temperature in that room to the settings of any other zone that has either a QUE Sense or QUE Touch installed. This means the temperature in the spare room will be maintained as per the settings of the selected zone, though not with the precision that comes from having its own QUE Sense. For those zones where you desire a higher level of control, you can opt to install QUE Zone Controllers. These easily all you to turn the zone on and off from within the room, change the temperature, or even turn the whole system on or off. Individual comfort control, built in. If you want the ability to have different temperatures in different rooms at the same time, we’ve got good news. QUE comes with individual temperature control built in as standard. And because we make both the controller and the air conditioner, it means that QUE will work hand in hand with our next generation ESP Platinum system for optimum performance. 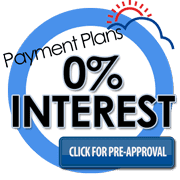 To provide this type of control feature, most other air conditioning systems on the market require you to purchase and install an additional control add-on from a different company. And that’s big deal. Installing an air conditioning system properly is hard enough without having to worry about whether all of its components will work properly with one another. And when its a bolt on that has to work with a variety of different brands, the controls are not specifically designed to get the most out of each individual system. And if it isn’t performing, who do you call? which company is responsible for fixing your problem? Life is wireless. Now your controls can be too. With QUE, you can now connect your QUE Zone Controller and QUE Sense Remote Sensor wirelessly. This allows for a simple installation that minimizes intrusions on your house, and can save time and money. And because QUE can go where wires can’t, you will love the flexibility regarding installation locations. It also means you can change your arrangements as your needs change. For example, if you require additional control in a specific area, it’s very easy to swap out the QUE Sense With a QUE Zone. You can simply select the options that make the most sense for you, when you need it. QUE provides you with a level of control never before possible in home air conditioning. Energy History The Energy History feature allows you to easily monitor the historical energy usage of your system, making it easy for you to check on how your system has been performing. 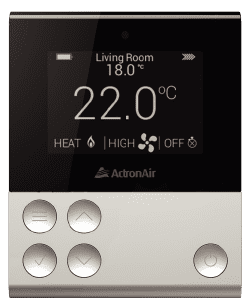 It features a clean, simple and easy to understand design which clearly identifies whether your system is in cooling, heating, or standby mode. It even allows you to monitor the average temperature achieved versus the desired set temperature, just to make sure you’re getting the comfort you want. Schedule QUE comes compete with a scheduling function. Featuring an easy to use interface, it allows you to program the system to automatically run only when you want it to. You can easily select between your entire system, or just the individual zones you want to use, and there is an Overview screen that provides you with a quick glimpse of the week’s schedule, ensuring you are able to easily monitor the schedule activity. Master Timer If your comfort needs are simpler than those who use the schedule function, the Master Timer is perfect for you. Think of it as a simple countdown function. Once the countdown is complete, the whole system (or the specifically selected zones) then simply turn on or off. For example, lets say everyone goes to sleep in your home at 9pm. You could set your Master Timer to turn the system off after two hours, press the button when you get into bed at 9pm, and fall asleep in absolute comfort. Two hours later, o once the countdown is finished, the system will then turn off, saving you energy while you sleep. And the beautiful thing is once you’ve set it up once, every time you want to use it from that point onwards only requires a simple touch of your Master Controller, making it fast and easy to control your comfort. For those who need to setup multiple timers, QUE allows you to program two, and if you are only controlling a single zone it can be set up and controlled with a QUE Zone controller. And best of all, with QUE Connect you can do all of this from your mobile device. QUE is the only control system on the market with a dedicated Dashboard feature. 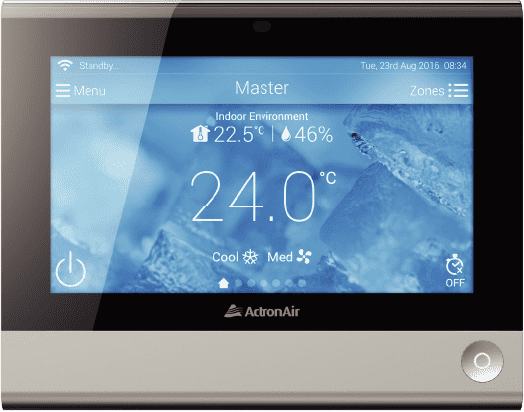 Accessed via the QUE Touch Master Controller, the Dashboard has an easy to read interface which allows you to easily view the status of your air conditioning system. This has revolutionized the servicing of residential air conditioning systems. Traditionally, air conditioners can be quite difficult to service because large parts of the system are installed in the roof, or outside your home. Unlike other systems, QUE’s Dashboard feature provides easy access to information on the Master Controller, Zone Controllers, indoor Unit and Outdoor Unit. It allows you, or your air conditioning contractor, to view information like fan speed, coil temperature, fan mode, temperature, gas pressure, compressor run/demand and event history. This means that servicing can be conducted quickly and easily, which will keep costs low and minimize intrusions on your time and your home. These days, great connectivity and easy access is as much a part of being comfortable as anything else. That’s why the QUE control platform comes complete with a mobile app, QUE Connect. With QUE Connect, you are able to control your system from anywhere – in your car, on the couch, at the office – all you need is an internet connected mobile device, and a Wi-Fi internet connection psyched to your QUE system. 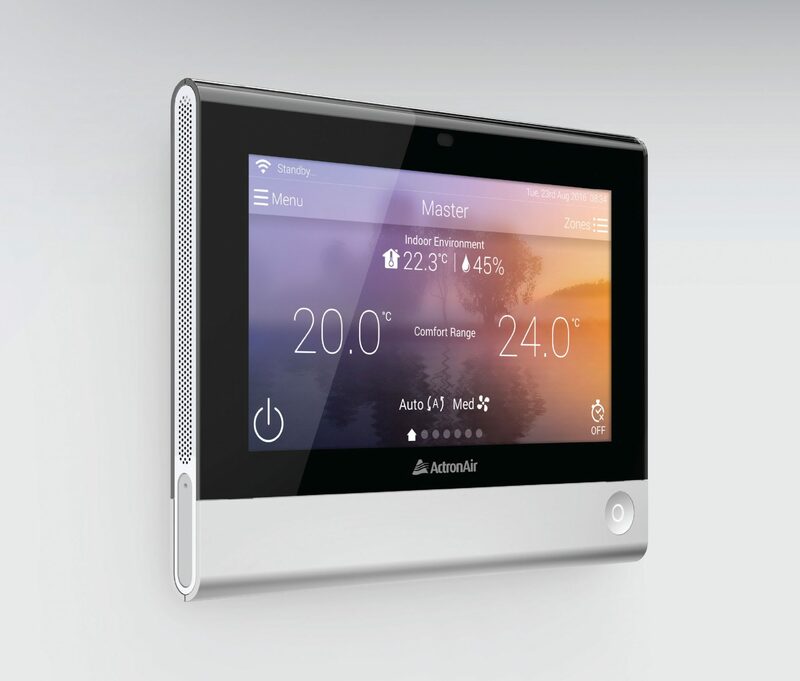 QUE Connect’s clean and intuitive design makes it extremely easy to use, and you can even control the individual temperatures in those areas that have individual temperature control. QUE Connect is also a breeze to setup, simply requiring you to download the app, create an account, and enter the details into your QUE Touch Master Controller. You can even connect up to six air conditioners from a single account, which means you can control your office, home and holiday house from the one account. And because it’s important to us that we offer a solution for every lifestyle, we have also developed QUE Connected to be compatible with a range of leading products. That’s why it’s available on iPhone, iPad, and the latest Android smartphones from leading manufacturers.